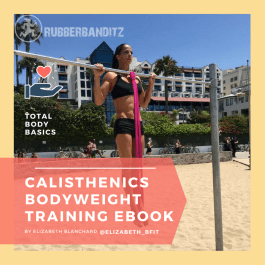 This calisthenics ebook by Elizabeth Blanchard (@elizabeth_bfit) will break down the basics that will enable you to build an elite level full body workout that can be accommodated by even the busiest of lives and schedules. There are modification options so that anybody, regardless of your current strength level can do it. Doesn’t matter what your strength or skill level is, it is never too early or too late to start. For Elizabeth's conditioning ebook you are going to learn basic body weight exercises. You also get a basic workout routine to follow to take your strength to the next level. Calisthenics is the practice of using your body weight with the intended purpose of developing strength, health, and coordination. The great thing about calisthenics training is that it can be done just about anywhere and requires little to no equipment to train. Another advantage is its adaptability to a broad range of body types and fitness goals. Whether you are an aerialist looking to cross train or someone who is simply looking to make some life changes and improve your fitness level, calisthenics training is adaptable to both. You can train in the comfort of your own home, in a gym, or at a park while your kids are playing alongside you. This calisthenics ebook will break down the basics that will enable you to build an elite level full body workout that can be accommodated by even the busiest of lives and schedules. There are modification options so that anybody, regardless of your current strength level can do it. Doesn’t matter what your strength or skill level is, it is never too early or too late to start. For Elizabeth's conditioning ebook you are going to learn basic body weight exercises. You also get a basic workout routine to follow to take your strength to the next level. You can choose a workout routine that best suits your needs and lifestyle, this can be one day a week, two days a week or more. If you are serious about taking your fitness and strength to the next level you should be training or conditioning a minimum of two days a week, ideally three days a week. Sometimes it might only be a 30 minute training session because you are trying to squeeze it in between work, school, kids, and life. You might not have the time to drive to the gym but you can squeeze in 20 or 30 minutes of strength training at home or at the park while your kids are playing. 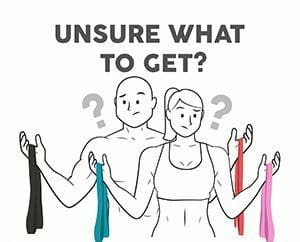 If you don’t have any workout equipment at home, don’t worry, there are plenty of exercises in the book that you can do without it.